The Fleurieu Peninsula is a rewarding destination for those who drive. Self-driving tours have never been more popular throughout the Fleurieu Peninsula. Access is easy from the city with the Southern Expressway and is only 45 minutes from the Adelaide CBD. Prepare to get lost in an array of local country towns, cellar doors and cafés. A great day trip activity, we present a few scenic and relaxing drives throughout the Fleurieu. Nestled on the Murray River Wellington is a great location to start your journey. Take the car on a free ferry ride and make your way to Langhorne Creek - to taste some one of the award winning wines at one of the many cellar doors. When you are back on the road don’t go past Lake Alexandrina, Australia’s largest freshwater lake. You’ll be inspired to take the boat out, or to stretch the legs while you watch the birds with a walk around the lake. Continue driving onwards to Strathalbyn, a - country town with plenty of charm and complete with stunning parks, food and fuel options. We highly recommend booking in at The OlFactory Inn, an award-winning restaurant featuring much of the region’s local produce. Drive 20 minutes further on and you will reach historic Goolwa. One of the larger towns on the Southern Fleurieu, Goolwa is situated on the mouth of the mighty Murray River. Try a tour on the historic PW Oscar Steam Paddler for the full Murray River experience. Goolwa hosts plenty of great dinner and accommodation options, making it an ideal place to settle in for the night before the drive home. Want to catch the ferry to Kangaroo Island? The drive from Adelaide through the rolling hills and stunning farming towns whilst on your way to the ferry is well worth planning ahead for. Within 20 minutes after exiting the Southern Expressway, you’ll be on your way to your first stop along the Mid Coast. At Port Noarlunga, -The Fleurieu Pantry is the spot to grab a coffee -. Take the coastal drive past one of Australia’s Surfing Reserves. If you’relucky and the conditions are right, you’ll drive past a stretch that hosts many great surfing spots. A few more minutes and you’ll be driving upwards to Sellicks Hill’s: Nan Hai Pu Tuo Temple, a large Buddha statue that has become ‘a must see’. From there you start to hit the country, remember to drive safely as the roads - to weave through the hills to the award-winning brewery Smiling Samoyed. Renowned for the white sandy beaches and crystal clear water, the stunning coastline at Yankalilla and Normanville is one of our favourite places to watch the sunset. Links Lady Bay and Wirrina Resort offer great accommodation options and are only a short drive to catch the ferry in the morning. If you’d rather stick to land, the short drive of coastal stretch between Middleton to Victor Harbor is full of things to see and do. Middleton is known for its surf beaches, fishing and is often the best place to spot the migrating whales each winter. Drive 5 minutes further west around the beautiful Basham Beach Conservation Park and you will find yourself in the small but very popular Port Elliot. This is a great spot to break for - lunch. There are plenty of cafes and pubs to choose from, but a local will always recommend the Port Elliot Bakery for a bite to eat. Take time out to browse along The Strand, the main shopping street, - full of great shops. Don’t forget to make your way over to Horseshoe Bay and walk around to Freemans Knob. This is a quick coastal walk around stunning beaches and coastline that is rich with Aboriginal Dreamtime stories and history. Within a 10-minute drive you will arrive in Victor Harbor. Victor Harbor is the hub of the Southern Fleurieu and the biggest town along the stretch of coastline. 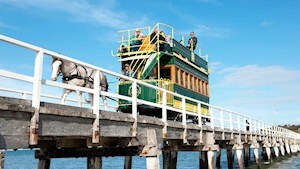 Accessible by the historic horse and tram or a short walk across the causeway Granite Island is a must do. There are a range of tours and activities based from Victor Harbor that are all bookable from the Visitor Information Centre located on the Esplanade. 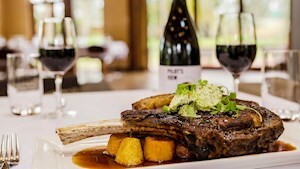 McLaren Vale has been synonymous with fine wines for over 150 years. 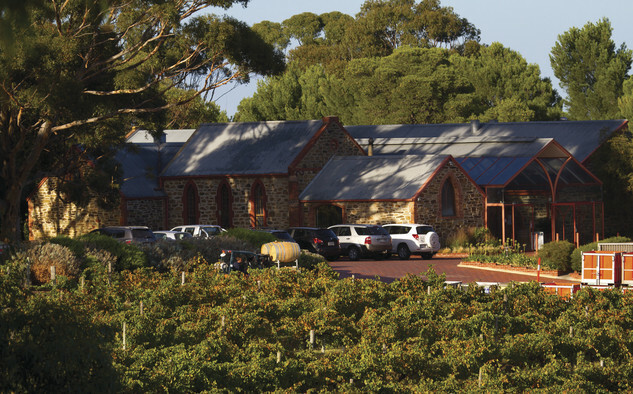 South Australia's first vineyards were established here in 1838. The area has over 70 wineries with cellar doors and many are - family run where the notion of "meeting your maker" reflects strongly. Undoubtedly, the region is best known for its rich, robust reds, in particular -Shiraz. The beauty of the surrounding hills, the pristine beaches and rugged coastal scenery has inspired artists to paint here for many years. Their works are found in a number of galleries in the district. Don’t miss the Fleurieu Biennial, Australia's foremost landscape art prize is a feature of the district. Drive south for 15 minutes- and you will come into the town of Willunga, made famous by Willunga Hill that has tested the world’s best cyclists during the Tour Down Under. Willunga has plenty of hidden gems waiting to be explored. If you’re lucky to be there on a Saturday, make Willunga Farmers Market a must stop. Local farmers and foodies alike gather from 7:30am in the town centre with the freshest of local produce. Worth staying an extra night for.